These are my favorite products and tips for keeping your car clean and tidy even with kids and pets riding in the backseat. This shouldn’t take more than an hour to do and it is very easy to maintain. 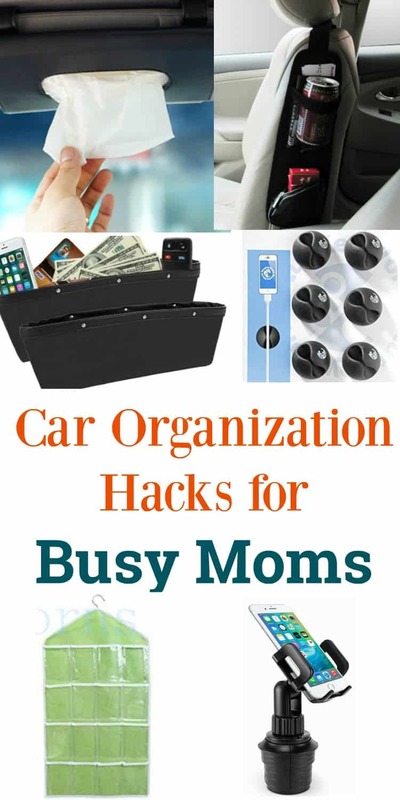 These car organization hacks have been working for me this past year and I hope it can make your car less cluttered and your life less chaotic. 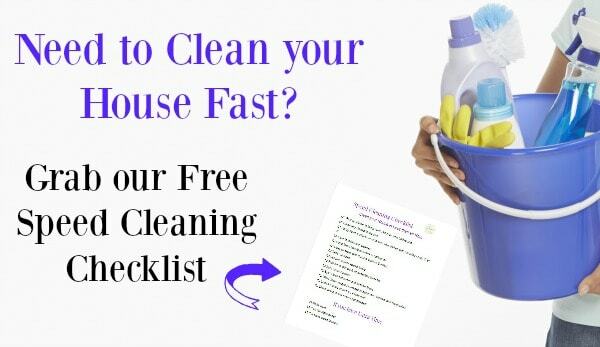 If your interior needs a good cleaning, you will also want to check out this DIY Car Upholstery Cleaner. The trunk seems to be the the most cluttered area in my car. 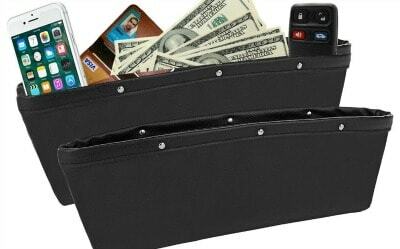 An easy way to keep things organized is to invest in some collapsible storage bins to keep in the trunk. You can store beach gear, groceries, emergency kits, blankets, and more when you need to. I like sticking some Velcro on the bottoms of the bins to keep them from sliding around. The Velcro will stick to the fuzzy lining of your trunk. I also like to keep some plastic bags or empty grocery bags in the bins in case you have to store wet or soiled clothes. It’s also a good idea to have a shower cap on hand if you are a sport mom. You can simply cover the dirty cleats or shoes in the shower caps to keep the dirt from getting all over your floor mats. Another car organization hack to use a shower caddy to store all of your oil and car fluids. It will help prevent any leaks from getting on the interior. I like to be able to quickly find something when I need it in the car. By keeping my car console organized, I am able to have everything within arms reach when I need it. You can use a console organizer to keep everything in it’s place. I like keeping snacks, change, dog treats, etc in these. To keep my car and console free of trash and other little papers, I like to keep a small trash bin in my car. Every time I fill up with gas, I simply empty it in the gas station trash can and it keeps my car free of trash. Another big clutter maker is all of the chargers in my car. These can be an eyesore, not to mention dangerous if they slide under your seat. 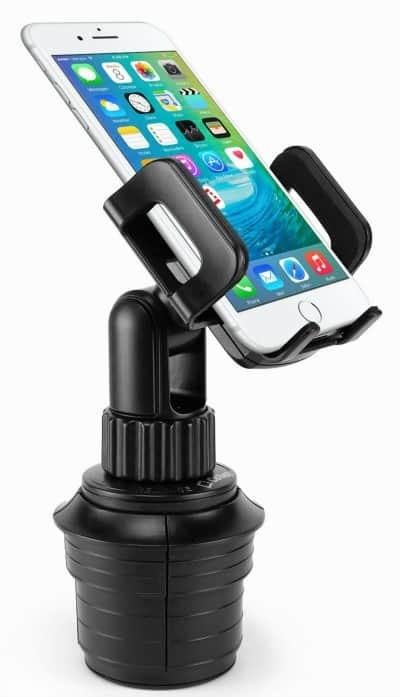 Keep the cords to your chargers in place with an adhesive cord clip and use a phone holder that can fit in your cup holder so it is close to the charging area. I also like to use an empty gum bottle to keep spare change in. It can easily fit in a console organizer or in a cup holder for easy access. There is so much storage space in a car that goes unused. I like to use a hanging shoe organizer and hang it from the back of the passengers seat. My daughter can easily grab snacks, toys, and other items she may need right in front of her. 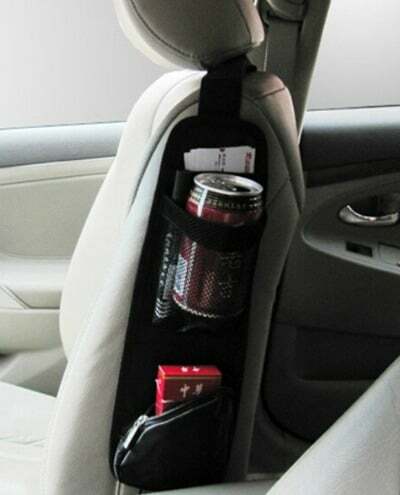 Don’t forget to make use of that little compartment on the inside of the car doors. This is a great place to store items like: umbrellas, paperwork, lint rollers, etc. I hate it when things fall in between my seat and the console, so I use a gap filler organizer. It catches anything I may drop and offers even more storage space. They even make organizers that can hang from the side of your passenger seat. This is great for getting more storage space to hold drinks, papers, sunglasses, etc. I really like using this visor tissue holder to keep tissues or napkins within reach while I am driving. This is a life saver during allergy season! 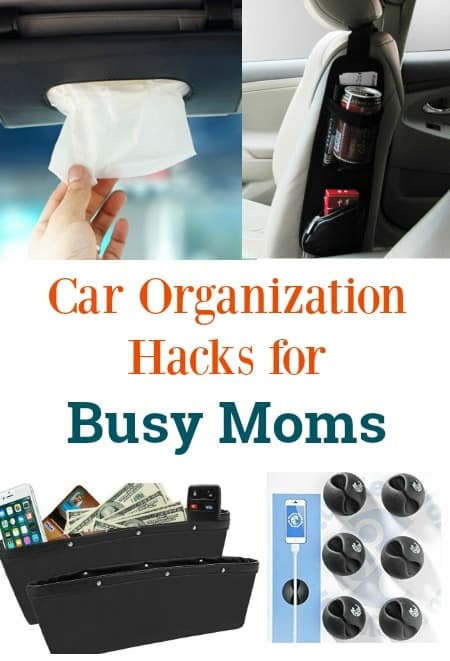 Once you are finished using all of these car organization hacks and have everything neat and looking great, grab a car vent clip to get everything smelling fresh. I like using the ones from Yankee Candle or Febreze. 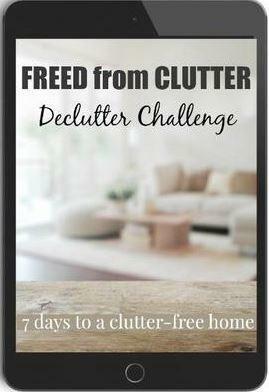 If you want some great tips and encouragement to get your home organized and decluttered, you can check out my friend Becky’s Freed from Clutter course and challenge. Let me know of any other car organization hacks that you use to keep everything neat and put together. As a busy mom, I can use all of the tips I can get! Wow – these are great ideas! I have two little boys, 6 and 4, who have completely taken over my car with their toys, beach towels, beach buckets and trash. They leave SO much trash on the floor! I will definitely try some of these ideas out. I really like the idea about containers in the trunk.